I’ve always been a lover of greens. Even when I was growing up, I’d be the one to reach for a spoon and the last few vegetables in the bowl at dinnertime to polish them off. For me, the dessert would go uneaten, but the veggies didn’t stand a chance! 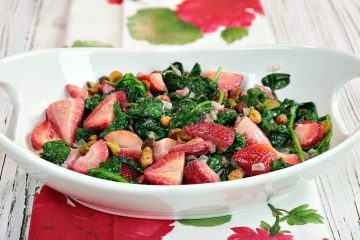 The reason I call this a “copycat” salad is that it mimics my favorite bagged salad which I purchase in the produce section of the market. However, if I’m totally honest here (and why wouldn’t I be? 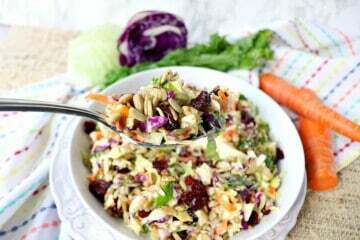 ), my Kudos Kitchen version is even better than that bagged version because I’ve added dried cranberries to the mix, and I’ve also added apple cider (you can use apple juice if needed) to thin the dressing, and for a little touch of extra sweetness. 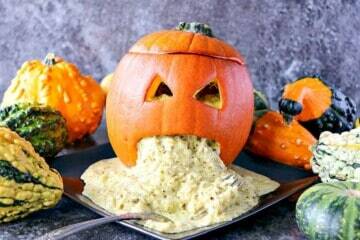 The day I came up with this recipe for pesto spaghetti squash was the day I first spotted the little pie pumpkins in the produce section of the store. I stood there for a moment pondering how I could use one of the pumpkins along with some spaghetti squash which was one section over. The idea hit quickly. Kind of like nausea itself. But, trust me when I tell you queasy never tasted so good! 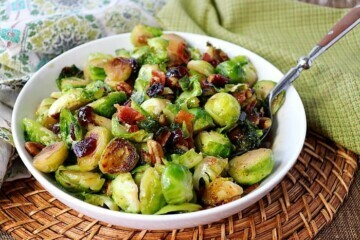 This festive fall recipe of Sauteed Autumn Vegetables will make an amazing side dish to grace your Thanksgiving table, or by leaving the bacon out, you can serve this as a healthy vegetarian main course if that’s the option you’re searching for. 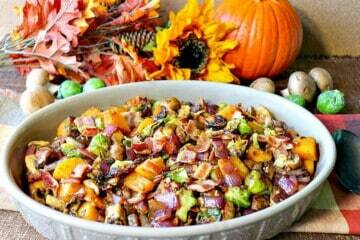 However you serve it, I know you’re going to love all these colors, and flavors of fall. 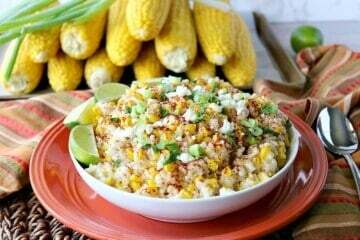 Mexican Sweet Corn Risotto is creamy, crunchy, sweet and savory. You can eat it as a vegetarian main course, a delicious and unexpected side dish to your favorite protein, or with a spoon straight out of the pot like I did (shhh, don’t tell). No matter how you choose to eat it…just make sure you do! Late summer through mid-autumn is (in my opinion) when spaghetti squash is at their finest. 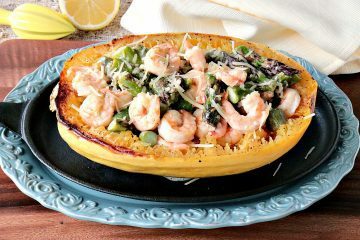 If you’ve never cooked spaghetti squash before because you find them intimidating and a little daunting, I hope I can take away some of those fears for you today with this delicious and easy recipe for Roasted Spaghetti Squash Shrimp Scampi. 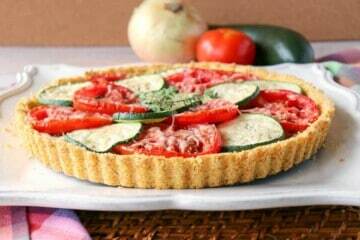 Remember, not that long ago, when zucchini was primarily used for zucchini bread and muffins? 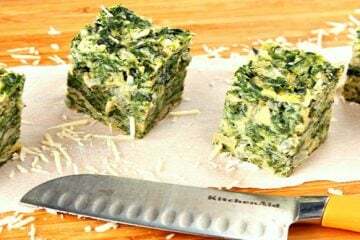 While those recipes are still a great option for when you want something sweet, zucchini is now a popular vegetable for replacing traditional pasta when it comes to eating low carb savory dishes. Surely you’ve heard of “zoodles,” right? 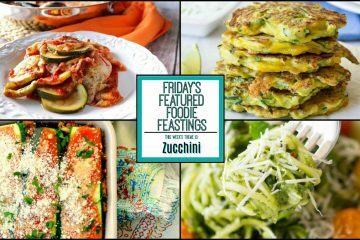 If not, stick with me because today’s Amazing Zucchini Recipe Roundup 2018 has several “zoodle” recipes for you to sink your teeth into, plus a fair amount of zucchini bread and muffins, too, not to mention all the other zucchini main course, side dish, and dessert recipes you’ll find here today.